Someday's I "LOVE" my job, and then other days I "LOVE" my job. Yesterday was one of those days! Right now we have a teething baby at the house who is really having issues with waking up at 2 a.m. and wanting to watch tractor videos. Yes tractor videos at 2 a.m., and as crazy as it may sound, we all have to get up and watch tractor videos while every normal person in the world is sound asleep. There is just no way around it and our little man will not accept any other option unless we are all at full attention watching farmer Ted plow his field. I know what you are thinking, these people are sleep deprived and what the heck does tractor videos and sunset family portraits have in common. Simple really, we had older boys last night and it dawned on me, everyone goes through this stage to some extent and we will survive. It is a necessary rite of passage so to say and it is a milestone that we will gladly accept when it is gone, but it is a step we must endure. Once it passes we will sleep better for sure, but I am positive we will cherish our 2 a.m. tractor time because it is something we did as a whole family. So thanks to our group from last night for opening our tired eyes a bit and showing us that all babies do grow up. Thanks for sharing your family time with us and thank you for letting us share our art with your family. Nothing can stop either your boys or ours from growing up, but no matter what the difficulty or stage, we must take a step back and really enjoy the whole process. Life comes at us fast, it is the little moments that matter. 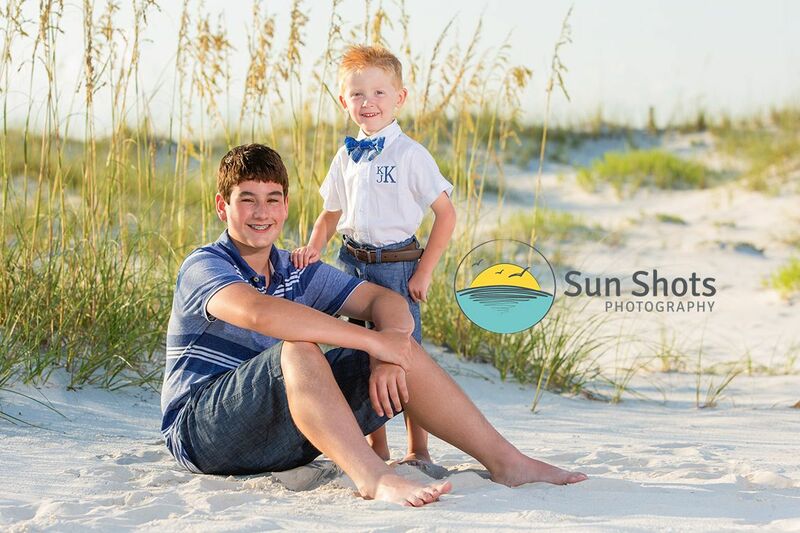 Live, laugh, and love, because even the hour you spend taking your sunset family portraits in Perdido Key, every second as a family really does matter!